Yes, unfortunately you must pay taxes, so tax help in the stock market is an important necessity as well as knowledge of the different tax laws in your Country. Because tax laws are different in each Country and change with the political climate and sometimes can be complex, it's important to have the proper knowledge of the tax implications to your profits made, or lost, so you don't get caught with a nasty letter in the future from your government looking for tax money owed. 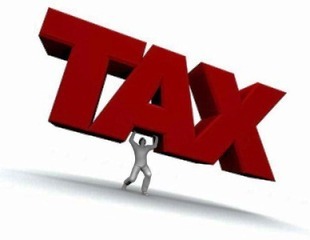 Any income you earn from tax investing or trading is taxable. You can also take advantage of the tax laws if you can prove your stock trading is run as a business. When you sell your stock for a profit, the money you earn from this transaction is known as Capital Gains. There are two type of Capital Gains: short-term and long-term. Long-Term Capital Gains: Shares of stock that are held for more than 12 months consecutively and then sold at a profit are taxed at the long-term capital gains rate. The exact percentage of taxes owed will differ depending on the tax laws of your country and the income tax bracket of the investor. Short-Term Capital Gains: If you sell shares of a stock at a profit that you owned for less than 12 months, you will be obligated to pay the short-term capital gains tax. Normally, the profit that is obtained is taxed at the same rate as an ordinary income. So you ask "What if I lose money in the Stock Market?" Some governments, such as in the USA and Canada, allow you to deduct a certain fixed amount of your trading and investment losses for a particular year from your normal taxable income for that year. Or, you can apply those losses to lower the capital gains tax on profits you made from other stock transactions. You can see why stock market tax help and knowledge is necessary. Many investors have intentionally sold a losing stock in order to offset capital gains and later again purchase the same stock. As a result, in the USA, the IRS has taken the necessary moves to limit such practices. It is referred to as the wash rule. The rule forbids you to sell and buy one and the same stock within a 30-day time period for the purposes of claiming capital loss. There is no getting around it as the brokerage companies are required by law to report all your transactions to the IRS. If your records do not match what is reported, this will trigger a red flag and you may very well be audited. If not audited, you will at least be contacted by the IRS and told that your records don't match what was reported by the IRS. A good reputable high-end Tax Software is a definite asset for your tax help. I personally use and recommend TurboTax Premier . If you receive dividends from your stock you are liable to taxes, generally at the rate at which you pay your normal personal taxes. If you are unwilling to pay taxes on your dividends you can consider the option of making the stock a part of a retirement plan. If you are an active trader, your goverment may consider you a "trader" the benefit is that you can deduct other business expenses (since you are running a business of trading). The disadvantage is that the gains will be taxed as business income not capital gains. Tax help is definitely a necessity in this case. In general, someone can be considered a trader if he makes a significant portion of his income trading securities and he make frequent trades. You have established a regular and continuous pattern of making lots of trades (several almost every day the markets are open). Your goal is to profit from short-term market swings rather than from long-term gains or dividend income. If you have trader status, you can deduct business expenses such as trading fees, newsletter subscriptions, computer equipment, Internet subscriptions and other such costs as business expenses on your income taxes. Trader status also provides exemption from the "washout" rule which disallows marking a trade down as a capital loss if you purchase the same security within 30 days and make a capital gain on it. My recommendation for the best tax help software is TurboTax Premier. Import Your Investment Info— Save time by automatically importing participating investment info directly from your financial institution. Get Help Accurately Reporting Investment Sales — You’ll be walked through reporting sales of stocks, bonds and mutual funds. TurboTax tax help will automatically calculate capital gains/losses and keeps track of those that carry over to future tax returns. Easy Questions, Tailored to You — They ask questions in plain English and then put your answers on the right forms for you. TurboTax skips interview questions that don’t apply to you, so you can finish your return faster. Transfer Last Year’s Tax Info — No retyping necessary. TurboTax fills in information from your previous year’s return to help save time and increase accuracy. You’ll be shown what you’re importing and where it goes in your tax return. Live Tax Answers — Get answers online from TurboTax experts and other TurboTax users in our Live Community. Plus, you’ll have instant access to answers to commonly asked tax questions on every screen. File Taxes Onlie, Federal Efile Included — Get your tax refund in as few as 8 days with efile and direct deposit. Free federal efile is included with TurboTax at no extra charge. You’re also covered In Case of an Audit. Audit Risk Meter™ checks your tax return for common audit triggers. Shows whether your risk is high or low. And provides tips to help you reduce your chance of an audit. And you will Maximize Your Tax Deductions — You’ll be asked simple questions about your income, family situation and changes in your tax situation and credits. Then, based on your answers, TurboTax tax help will search for more than 350 deductions and credits to get you the biggest tax refund— guaranteed. Return From "Tax Help" to the Home Page: "Stock Market For Beginners"